This Schrade Frontier model is outfitted with a 1095 carbon steel blade with a black powder coating and a gray micarta handle. 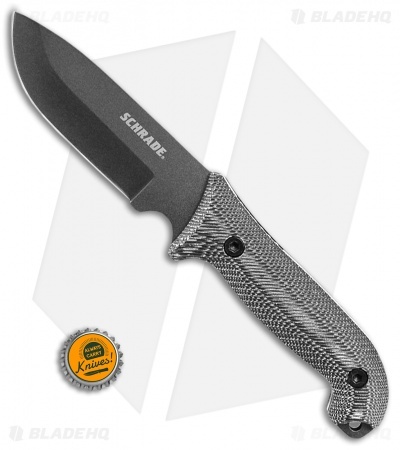 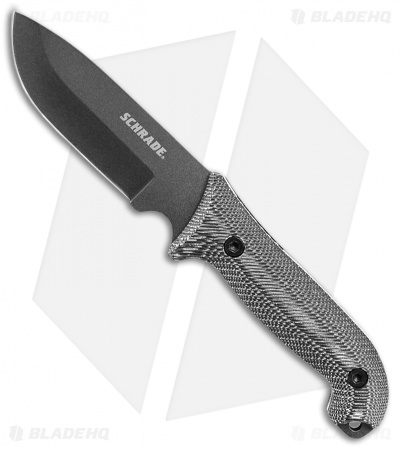 The Schrade Frontier offers a large, thick blade with the heft needed for any difficult cutting job. It has a contoured micarta handle with spine jimping for a secure and comfortable grip. 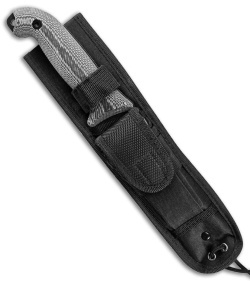 Item includes a heavy duty black nylon belt sheath that comes equipped with a fire starter Ferro rod, lanyard, and a diamond knife sharpener.